CSR Corner - Rishikesh Sadan | The Spiritual Retreat | Yoga Teacher Training Course 200 Hrs. | Yoga Teacher Training Course 300 Hrs. | Yoga Teacher Training Course 500 Hrs. To begin with, let us first introduce ourselves. 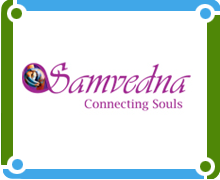 The Samvedna Foundation, established in Rishikesh in 2014 by Aarti Saxena and Deepak Barthwal, is dedicated to work with organizations worldwide further abroad array of humanitarian causes. The word “Samvedna” is a Hindi word that refers to the urge to help another in need. Samvedna is a NON-GOVERNMENTAL ORGANIZATION which works providing employment to the rural women who work as dress designer, tailoring, stitching, embroiding and hand crafting in our shop. We are making an impact running programs to train these village women, showing themthat they can be economically independent in their homes and society. Our Aim is to help them to be self-reliant and raise standard of their family; by developing their skills and providing them a platform to avail of employment opportunities.